Russia is ready to mediate negotiations between the United States and the Taliban (banned in Russia), Russian Special Presidential Envoy for Afghanistan Zamir Kabulov told Izvestia, adding that this would require interest from both sides. 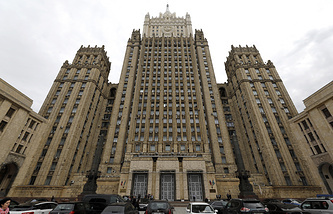 The diplomat supported the statements of Afghanistan’s President Ashraf Ghani about the need to negotiate with the Taliban, noting that Russian diplomatic help has a positive impact on the process. In addition, Moscow is waiting for National Security Advisor to the Afghan president Hanif Atmar, who will meet with members of the Russian Security Council in April. The US and Afghan governments have come to realize the need to negotiate with the moderate wing of the Taliban, Izvestia wrote, "which happened, in part, thanks to Russia’s influence and policy." Without dialogue with the Taliban, it is impossible to achieve peace in Afghanstan, Kabulov told Izvestia. "It's time for the Afghans to stop shedding the blood of the Afghans. Russia has long been talking about the need to begin broad peace talks. Moscow welcomes such intentions. In addition to the president of Afghanistan, the Taliban also made statements about their readiness to start talks. Finally, both sides came to the understanding that we need to negotiate. It did not happen without the positive influence of Russia, which has been urging the parties to come to the negotiating table for more than a year," Kabulov said. He noted that in April, National Security Advisor to the Afghan president Hanif Atmar will meet with members of the Russian Security Council. According to him, Moscow is ready to mediate negotiations between Kabul and the United States with the Taliban. "In order for us to act as an intermediary, both parties must request this. If this proposal is put on the table, of course we will react positively. This is a very real scenario," Kabulov said. Chief researcher at the Dialogue of Civilizations Research Institute Alexey Malashenko told the newspaper that the idea of Kabul's negotiations with the Taliban with the support of the United States is a step in the right direction and necessary. The Taliban, according to him, is part of Afghan society, which is impossible to ignore. As for Russia's proposal to mediate, it could contribute to the talks’ possible success, but this requires the restoration of confidence between Moscow and Washington. The Syrian army went on a decisive offensive in Eastern Ghouta, an enclave near Damascus controlled by the anti-Assad armed opposition. The advancing government troops tightened its control over Eastern Ghouta amid UN resolution 2401 on a ceasefire in Syria, supported by the West and Russia. Despite Damascus saying that the operation is aimed against terrorists who are not covered by the ceasefire resolution, the Syrian army is simultaneously firing at the opposition groups that participated in the peace talks in Astana and Geneva, Kommersant wrote. According to the newspaper, the escalation in Eastern Ghouta largely negates Russia's efforts to complete the hot phase of the Syrian conflict - Moscow might have to "pay" the West for the Syrian troops’ offensive. The fighting in Eastern Ghouta, that gives Syrian President Bashar Assad a chance to suppress one of the last hotbeds of armed resistance to Damascus, has scrapped the peacekeeping initiatives of recent months, which focused on Russia, the newspaper wrote. According to Damascus, the operation in Eastern Ghouta is directed exclusively against the terrorists. However, the main problem is that the UN Security Council does not classify all of opposition groups controlling enclaves near Damascus as terrorists. According to Western and many Arab politicians, under the pretext of fighting terrorism in Eastern Ghouta, the Syrian army is fighting against the forces that recently tried to sit at the negotiating table with Damascus with the help of international mediators, Kommersant wrote. According to the newspaper, the longer the confrontation in Eastern Ghouta lasts and the more tangible the victories of the Syrian army are, the more serious the political costs for Russia will become, and the more difficult it will be to return to the negotiating table for all parties involved in the conflict. 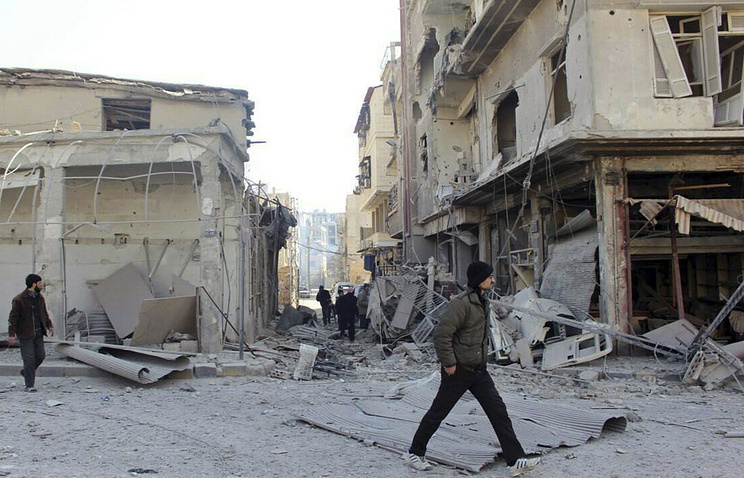 "Damascus counted on leading the war to a victorious end, removing the issue of a coalition government. The state troops’ offensive shows that President Assad does not want any political negotiations," Director General of the Russian International Affairs Council Andrey Kortunov explained to Kommersant. According to the expert, this could create risks for Russia’s position. "It's hard to imagine that the non-implementation of the UN Security Council resolution, which was supported by Moscow, comes with the approval of Russia. Nevertheless, in the current situation, Russia is losing ground on two fronts - not only in Syria, but also in relations with the West, who accuses Moscow of supporting Damascus. The opportunities for a new agreement with the West on Syria are evaporating, and Moscow will face a new geopolitical headache," Kortunov told Kommersant. Next week President Vladimir Putin will hold a meeting of the commission for military-technical cooperation, which will sum up the official results of arms exports for 2017, according to Kommersant. The main goal for 2017 has been fulfilled, contracts to the tune of more than $6 bln were signed, and the order book nearly hit $50 bln, which allowed Russia to maintain second place on the world arms market. Sources told the newspaper, that a similar goal has been set for 2018, but it will be more difficult to attain it due to US sanctions that entered into force on January 29 and are aimed at customers of Russian products. Two top managers from the defense industry told Kommersant about the upcoming meeting of the military-technical cooperation commission, and a presidential administration employee confirmed it. According to them, the event is expected to take place this week. Several sources told Kommersant that the meeting could be held on Monday, but the Kremlin will publicly announce it later, as "everything will depend on the information corresponding to the presidential schedule." Kremlin Spokesman Dmitry Peskov later confirmed the meeting to Kommersant, without going into any details. The plan of arms supplies to foreign customers was fulfilled, products were shipped for over $15 bln, and new contracts were inked for around $16 bln. The total portfolio of weapons orders, according to Kommersant’s source in the military-technical cooperation sphere, remained at $50 bln. "Since 2012, when the figure exceeded $14 bln, the volume of exports had remained stable, despite all the restrictions and difficulties," a federal official told the newspaper. According to Kommersant, Russia’s traditional partners have secured a major share of the arms supplies in 2017, with China. India, Vietnam, Algeria, and Egypt among them. In 2017, contracts were signed with principally new partners - Turkey, Saudi Arabia, Iraq. A top manager in a defense corporation told Kommersant that the same export volume could be maintained in 2018. At the same time, Kommersant sources in the military-technical cooperation sphere recognized that this goal greatly depends on US sanctions that came into force on January 29. These restrictive measures will affect arms exports the most, since any country cooperating with Russia itself might come under the sanctions radar if the United States recognizes these weapons contracts as "significant transactions". Gazprom could have refused to transit gas through Ukraine after it had lost a long dispute to Naftogaz of Ukraine in the Stockholm Arbitration and now owes $2.56 bln. According to Vedomosti, the refusal might be only part of Gazprom’s "big game with very high stakes." The ultimatum will either increase the chances for an early agreement on Nord Stream-2, or damage the reputation of Gazprom as a supplier. On the one hand, this is a question of the EU’s energy security, along with the fact that Europe would like to reduce its dependence on Russian gas. On the other hand, a radical change in the structure of imports is very unlikely in the near future. Europe needs a reliable supplier and Gazprom has been diligently working to bolster that reputation, by promptly increasing supplies, beating records of daily export for 10 consecutive days given the record cold snap that has sharply increased the demand for gas, the newspaper wrote. Diversification of supplies, including through Nord Stream-2, would have become a guarantee of supplying Europe with gas from Russia after being withdrawn from Ukraine's transit scheme. 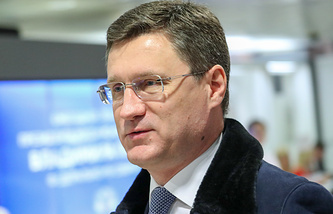 According to Vedomosti, Gazprom's ultimatum could have become a bargaining chip in the Nord Stream-2 agreement, were it not for the unprecedented harsh statements, which hardly testify to the reliability and predictability of Gazprom. On the other hand, the Ukrainian transit is at the same time a lever of EU political pressure on Moscow. In fact, the difficulties in agreeing on Nord Stream-2 were partly attributed to Europe's attempts to somehow force Russia to regulate its relations with Ukraine, which never found an alternative to transit revenues. According to the newspaper, if Europe agrees to replace the Ukrainian supply route with Nord Stream-2, it will lose an important argument in the discussion of options for a political settlement in the conflict between Ukraine and Russia. By Sunday evening, European consumers of Russian gas and the European officials did not react to Gazprom's ultimatum to Ukraine, but they will inevitably have to do it in the coming days, the newspaper wrote. The volume of investments in the project of a super-powerful quantum computer planned by a consortium that includes Vnesheconombank, VEB Innovations, the Advanced Research Foundation, Moscow State University and the Digital Economy organization, is estimated at 900 mln rubles ($15.81 mln) over the next five years, Deputy General Director of Advanced Research Foundation Sergey Garbuk told Izvestia. According to him, new algorithms will be created to solve specific problems. "Without adequate mathematical support, quantum computers will not have practical significance. Creating quantum algorithms will allow us to speak about a fundamentally new quality of solving such problems of great computational complexity as modeling human intellectual abilities, optimal distribution of transport and logistic flows, weather forecasting, and so on," Garbuk told the newspaper. The consortium’s participants have to create a computer that will reach the "quantum limit" - its speed will exceed the capabilities of existing systems many times over. The association will be open to others, it could include various institutions and universities with developments in a related field. Vnesheconombank consortium, VEB Innovations, the Advanced Research Foundation, Moscow State University and the Digital Economy organization signed an agreement on creating a 50-qubit quantum computer in Russia on February 15, at the Sochi-2018 Russian Investment Forum.